With low interest rates and fixed, low repayments, long terms loans do look good in theory. But not everyone wants to be tied into such long term repayment options. Debt considerations also need to be taken into account if you are considering a long term loan. As the name suggests a long term loan is a loan over a set number of years, and can be for as long as ten years. If you consider mortgages as long terms loans then you can be looking at 25 years. Although interest payments are lower with long terms loans, you will usually end up paying more interest due to the long length of the loan.Long term loans can be secured or unsecured, and the interest will reflect this; the bigger the risk for the lender the higher the interest will be. If you have a number of existing debts then taking out a long term loan may be the solution to this problem. You will be able to eliminate the interest of your other debts, make only one monthly payment, and know exactly when the loan is to end. However, your spending habits are a consideration when considering the elimination of your debt in this way. If you are the type of person who is continually in debt and continually missing repayments, then a long term loan may be ideal as you will cut down on multiple late payment fees. But you should only consider this option if you are sure you can resist the temptation to start spending on your cleared credit cards. Once the long term loan has been spent you will then have repayments to make for a considerable length of time. If you are using a long term consolidation loan to clear existing debts then existing credit cards should be shut down in order to eliminate the temptation to start spending again. If you start accumulating more debt on top of your new loan then the debt consequences can be severe. Heavy debt problems can lead to bankruptcy, and if the long term loan has been secured on your home the end result could be the loss of your home. Although long term loans will mean lower interest rates, the actual overall cost of the loan will usually work out higher than short term, higher interest loans. If you are looking to eliminate your debt in the quickest time then long term loans may not be the best solution. Use online loan calculators to work out the interest rate payments and overall payments of different loans, and see which one will suit your budget best. Being tied into a long term loan is not something to be taken lightly, always make sure that you will be able to afford the monthly payments for the length of the loan. 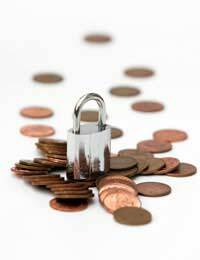 Payment protection insurance (PPI) is a major consideration with long term loans. PPI policies are not cheap and can add on a hefty sum to the monthly repayments. However, although many people are now avoiding the insurance for short term loans, the PPI may be a good idea for longer terms loans. A lot of changes can happen over the course of a 10 year loan period such as redundancies, illness, and unemployment, and this is when PPI can be worth the actual money. As with the loan itself, always shop around and find the best PPI deal you can find. You do not need to buy this from the same place as the loan; you can find much better rates from independent insurers. After you have considered your options and found the best long term loan, make a budget of all outgoings and incomings. By doing so you should be able to gauge whether the repayments are a realistic option over the course of a long loan period. Remember to take off all present debt payments from your budget figures if you are using the loan to consolidate your other debt. Long term loans are a large commitment, and it takes a disciplined person to avoid any missed or late payments during the course of the loan. If you are considering repaying the loan early you should also remember that fees will probably be applied. Always take expert financial advice and consider all of your loan options if you are using a long term loan to consolidate debts, especially if you are using your home as security.